A rather jolly book in cardback full of Wham! Zap! Pow! illustrations that will appeal to comic fans. 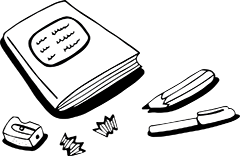 Within the pages we meet Metal Man, Sister Speed, The Invisible Lady, Mega Slug, Gadget Man and many others. Perhaps a little bit samey, the poems nevertheless do delve under the mask to discover the super hero, or not, within. 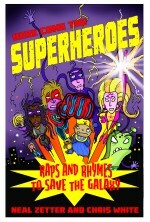 They have pace and several beg to be said out loud – hence the subtitle, ‘raps and rhymes to save the galaxy’. There are male and female heroes, so let’s hope girls as well as boys feel welcome. Not sure about the Supermum poem – after Mum has slaved away cooking, cleaning, polishing, caring, it might have been more acceptable to suggest Dad does more than buy her flowers! All who write for children have to be so careful about the messages they send . . . Good to see the illustrator getting equal billing with the writer.